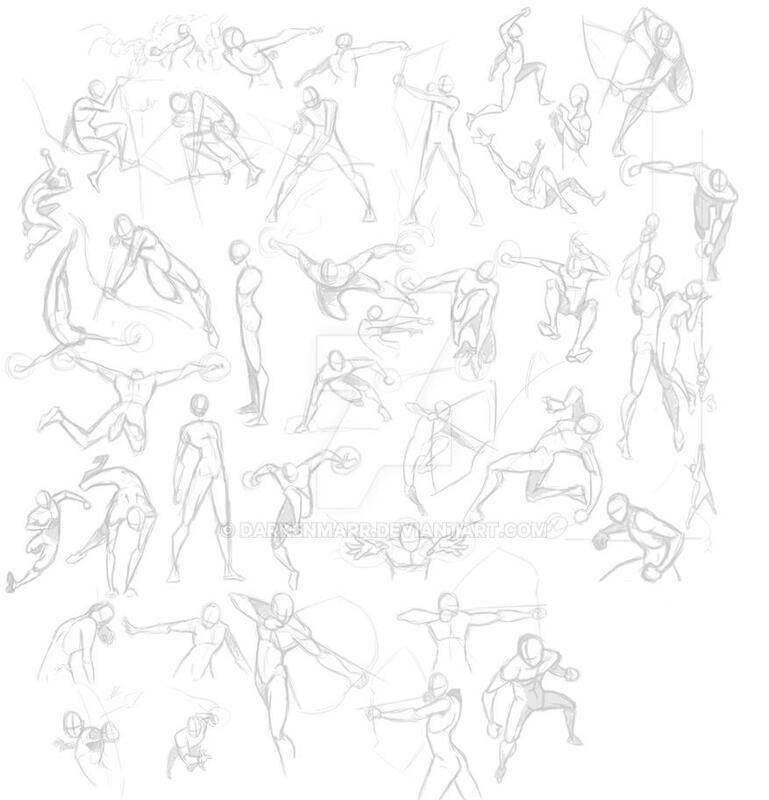 Here's a bunch of poses that I had practiced and put into my entry. ^^ So fun. NOT a BASE! Don't trace over these. Not for free use. This is just what I needed. I'm terrible with poses, so this'll help a lot. Thanks for posting it. You are more than welcome to use it as inspiration... but not a base. My suggestion for pose practice is to either find a good movie or comic and draw each scene. It definitely helps. I hate to see you concerned about having this used as a base, so let me alleviate those fears. I don't use bases, I use references in the form of photos as you suggested or something like this to get an idea for the posing. I don't copy and I don't draw over bases, no one really improves by doing that. Wow, that is intense! Very nice sketches! I have so many of them just sitting on my computer. This... this is awesome. I'm going to steal all of these. Yep. I already have plans for half of them.